Home Android Discussions Smartphones What is an APK file and How do you Install one ? What is an APK file and How do you Install one ? If you own an Android phone you will likely have heard of an APK file at some point, and possibly wondered "what exactly is an APK file?" Understanding this is essential if you want to start downloading leaked apps or customizing your own Android experience further than would be possible using the Play Store alone. In our guide you'll learn what APK files are, how to download them, and finally, how to install them. Read on to discover what these little packages are all about. Why would I want to install an APK File ? Searching for and downloading APK files allows you to access apps that have leaked ahead of their official release. (You can also download apps which have been banned, though we would not recommend this.) APK files of new Android builds are often leaked ahead of time, giving you early access to all the exciting new features that otherwise wouldn't be available to you. A recent example of this would be with the early Android L build which found its way online despite that it's yet to be officially released. APK files also allow you to bypass carriers to get the latest Google updates, which can take a a frustrating amount of time to arrive via an over-the-air update from your network, and if your Android device lacks access to the Google Play Store, APK files may be your only option for installing apps on your device. Installing APK files give you access to apps that aren't available on the Google Play Store. Just make sure you download and install them responsibly, and not to gain access to pirated apps. How to install APK Files from your computer ? There are many sources of APK files across the web, but be sure to choose a site which you trust. Some APK files may contain malicious software (malware) which could compromise your phones security, so it is best to be cautious before downloading or installing any app from outside of the Play Store (and even in the Play Store you're not completely safe!). Generally speaking, APK files found on sites like XDA should be safer to download than from elsewhere, but read some reviews and user comments before downloading or installing an APK. Is Antivirus Software necessary for Android ? Firstly, you must find an APK file that you want. Search online for an APK file and download it to an easy-to-find location on your computer (like your desktop). Before you can install it on your phone you will need to make sure that third-party apps are allowed on your device. Go to Menu > Settings > Security > and check "Unknown Sources" to allow your phone to install apps from sources other than the Google Play Store. If you like, you can also download an app like ES File Explorer so you can easily find files on your Android device. 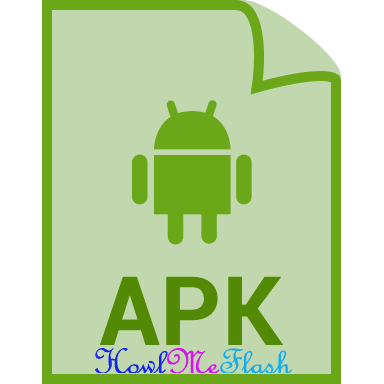 How to Install APK Files from Your Browser ? That's basically all there is to it. Installing APKs opens up a whole new world of opportunity to give niche or hard-to-come-by apps a try. Have a go yourself and let us know how you get on in the comments.